If you’ve read the few earlier posts on this blog you’ll know that we have a pretty stained glass window apex at the top of the stairs. Well it will be pretty when we sort out the damp and get it cleaned up (and get rid of the yellow floral light fixtures!). 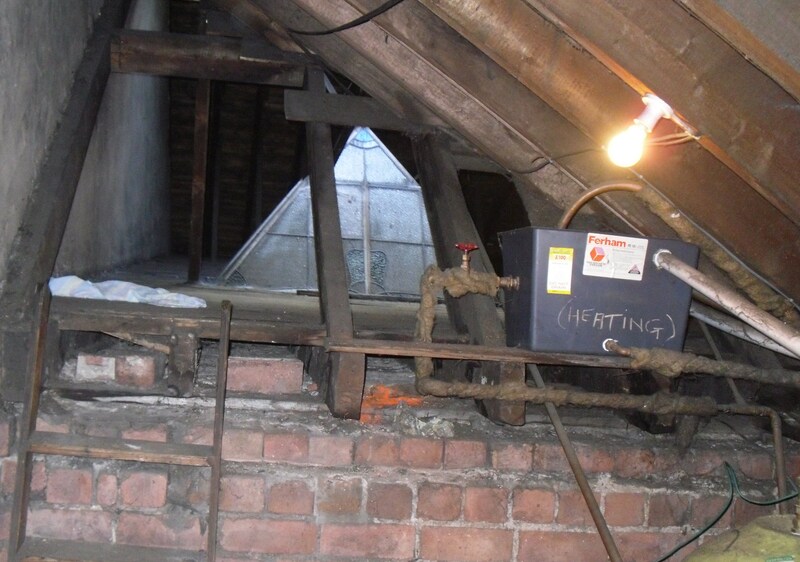 I had thought that from the presence of the damp staining around the light that it sat directly in the roof. 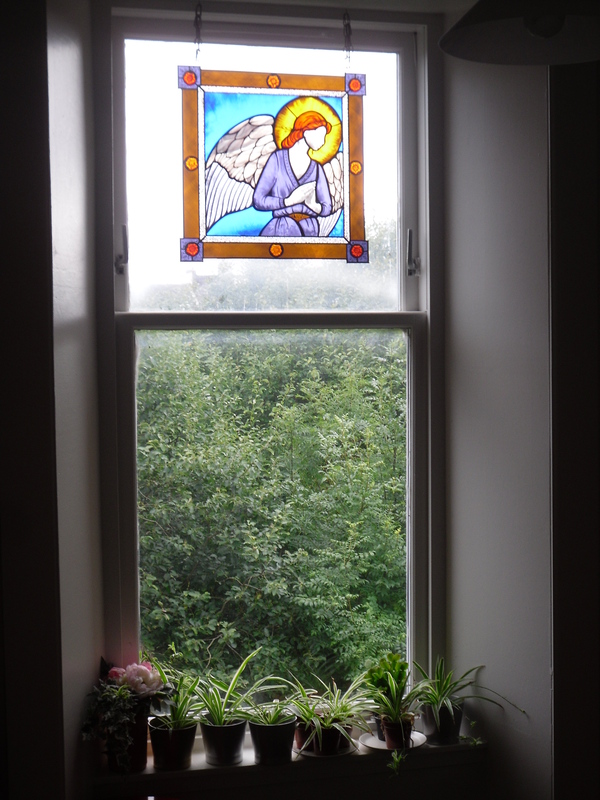 When Charlie the roofer was round earlier this week (here) he call the stained glass window a deadlight. He said that he’d moved around a few tiles and that should stop the leaking until he returns. I was slightly confused as I hadn’t heard him work in that area. On further inspection by intrepid explorer Stu we realised that the stained glass window is actually fitted into the attic space with a further window above it into the roof allowing for light to come in. 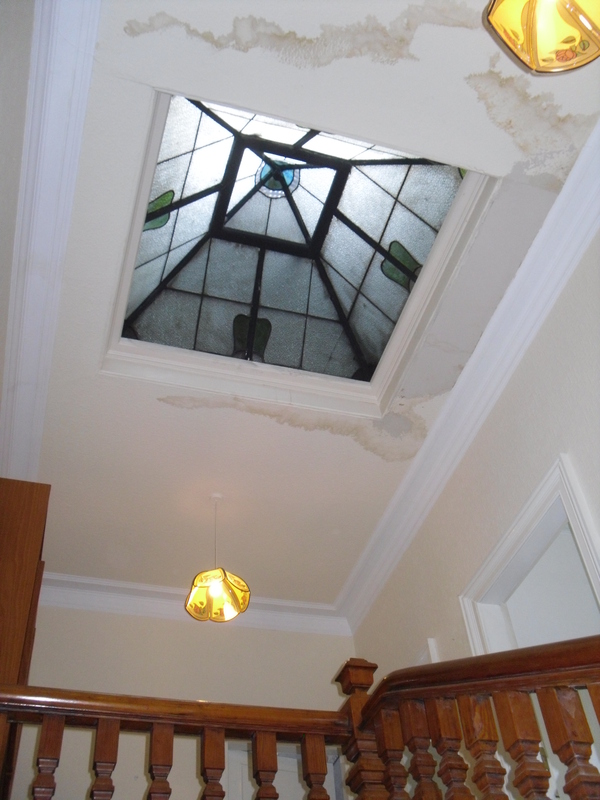 This means two things: (1) the ceiling can be very easily dried out and replastered as there is no direct leaking around the join of the skylight (2) it will be very easy to keep the skylight clean as it is in the interior of the house. 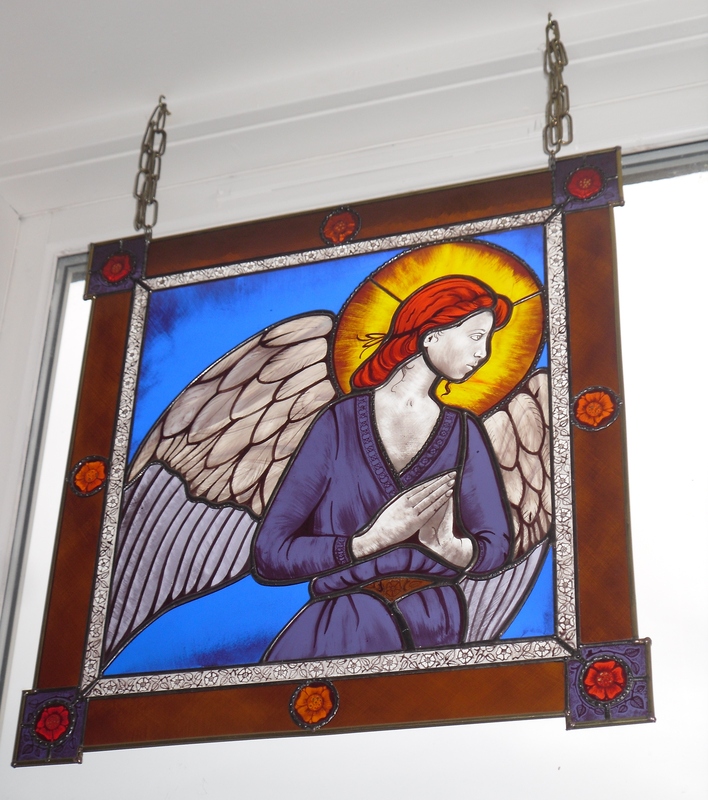 We are big fans of stained glass generally and the skylight and the bathroom door were definitely to our taste. It’ll be great to add to our current collection of one (a wedding gift from my parents). I can definitely see more stained glass in our future. Get the low down on the damp!